(NaturalNews) Found in everything from cereal grains to dried fruit and nuts to legumes, along with wine, hard cheeses and certain types of coconut oil — mycotoxins are difficult to dodge. Associated with a variety of diseases, these fungal metabolites can wreak havoc on the health of both body and mind. Just the same, we don’t need to be at the mercy of these invisible troublemakers. Instead, we can take active steps through dietary interventions to reduce exposure and decrease damage. Mycotoxins are surprisingly resilient and remain relatively unscathed when frozen or cooked. Crops grown in tropical regions are exceptionally vulnerable to contamination due to high humidity and weather fluctuations. 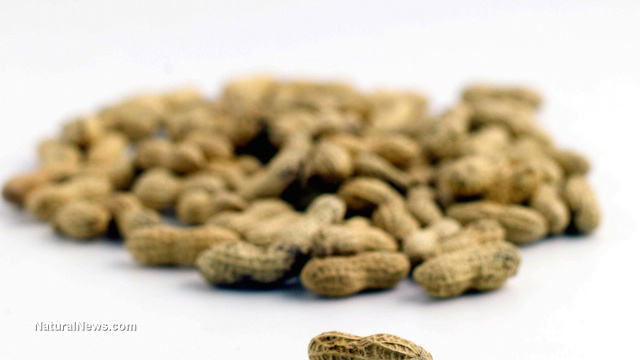 One of the most well-known mycotoxins, and also the most damaging, is aflatoxin — a carcinogenic mold often found in peanuts, among other foods. Aflatoxin specifically attacks the liver and has been implicated in cancers of both the liver and cervix. Unfortunately, it’s nearly impossible to escape contact with mycotoxins. Be that as it may, we can take action and protect ourselves. The first step is to avoid, as much as possible, foods that tend to be highly contaminated, as noted above. It’s also important to bake at home and mill your own flour for ultimate freshness and quality control. Prepackaged baked goods (including bread) are notorious for harboring mycotoxins. Sadly, it doesn’t matter if premade products are organic, sprouted or fermented — all can contain fungal metabolites. And a study in the journal Cancer Letters found that extracts of turmeric, garlic and asafetida “inhibited the aflatoxin production considerably (more than 90%) at concentrations of 5-10 mg/ml.” Moreover, turmeric and curcumin reversed aflatoxin-induced liver damage in test ducklings.